Caillou: What’s That Funny Noise? is an iPad app developed by Tribal Nova. Based on the beloved series of books and TV show of the same name, this Caillou app is designed to get kids excited about reading. This isn’t the first app we’ve reviewed from Tribal Nova. Previously, we’ve checked out Tribal Nova apps for kids, such as two “iLearn With” apps about nutrition and ocean-inspired language skills. Both apps scored quite well, so between the Tribal Nova name and the Caillou name, I had very high expectations for this app. Caillou: What’s That Funny Noise? is a charming app that will appeal to fans of the TV show or books, though you don’t need to be familiar with either to enjoy the app. 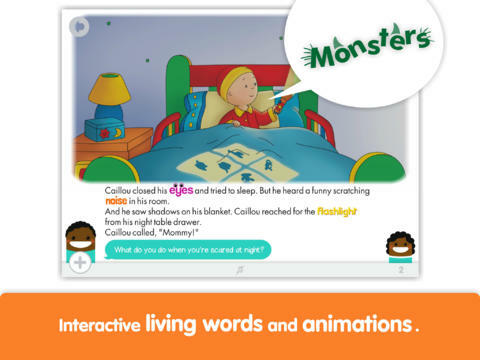 This app teaches kids how to read, and has been specially designed to get (and retain) the interest of preschoolers. The developers are currently working on adding a narration mode (a popular feature requested by parents) in the next update of this app. This update is live now, so you can finally enjoy this feature. Caillou: What’s That Funny Noise? 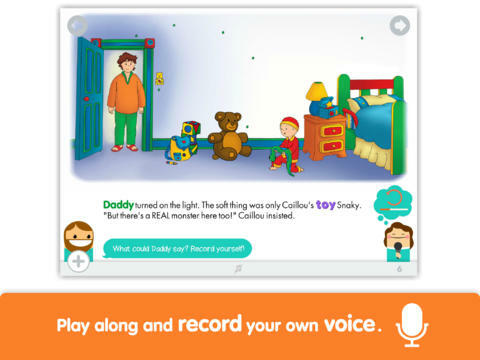 is the first of two planned iPad apps from Tribal Nova and Caillou. 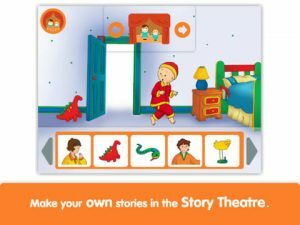 The second app, Caillou: Show and Tell, will be on sale for 99 cents, instead of the regular price of $2.99. 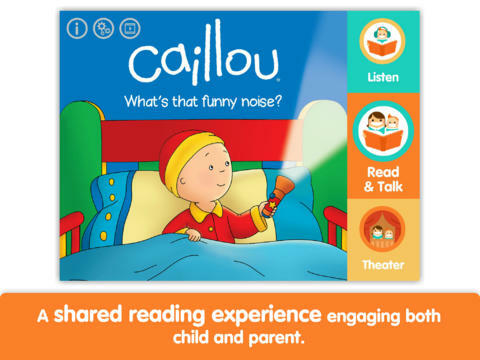 As a launch special starting March 25, and for a limited time only, “Caillou: What’s That Funny Noise?” will be entirely FREE. 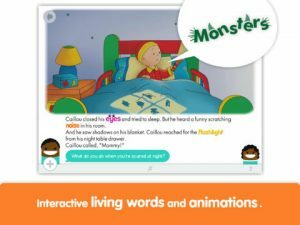 Overall, this app is well worth investing in for parents with kids who are just learning how to read. Want to learn more? Check out this video on YouTube! Caillou: What’s That Funny Noise? requires iOS 5.0 or later. Compatible with iPad 2 Wi-Fi, iPad 2 Wi-Fi + 3G, iPad Wi-Fi (3rd generation), iPad Wi-Fi + Cellular (3rd generation), iPad Wi-Fi (4th generation), iPad Wi-Fi + Cellular (4th generation), iPad mini Wi-Fi, iPad mini Wi-Fi + Cellular, iPad Air, iPad Air Wi-Fi + Cellular, iPad mini with Retina display, and iPad mini with Retina display Wi-Fi + Cellular.